Farming is big business for the Volunteer State. Do you know what the top five agricultural commodities are in Tennessee? 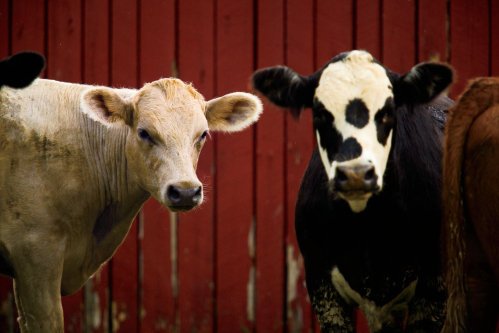 Cattle: The beef cattle industry represents 16.7 percent of all farm cash receipts for the state. Top cattle counties include Greene, Lincoln and Giles. Soybeans: More than 1.29 million acres of the state’s No. 2 crop were harvested in 2011. Obion is the top soybean county. Broilers: Broilers (or chickens for meat) come in at No. 3 for Tennessee. The state produced more than 989 million pounds of poultry products in 2011. Corn: The corn industry brings an average of $450 million to the state annually. Top counties are Obion, Gibson and Weakley. Cotton: Cotton rings in as the No. 5 commodity, contributing around $400 million to the state’s economy. Learn more about Tennessee’s important agriculture industry at TNagriculture.com.